Sim Track Manager was designed for sim card distributors to handle their sim distribution networks. 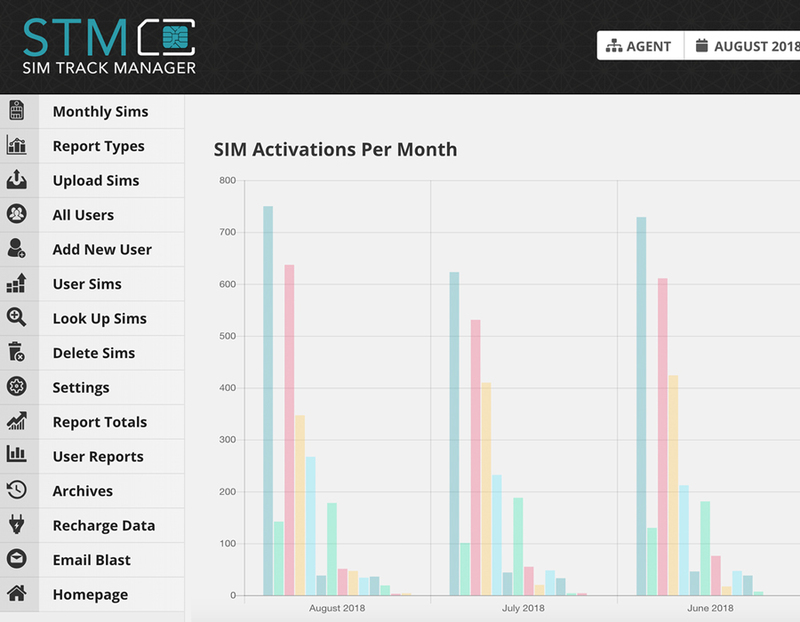 STM makes it easy to manage sim distribution with robust functionality. 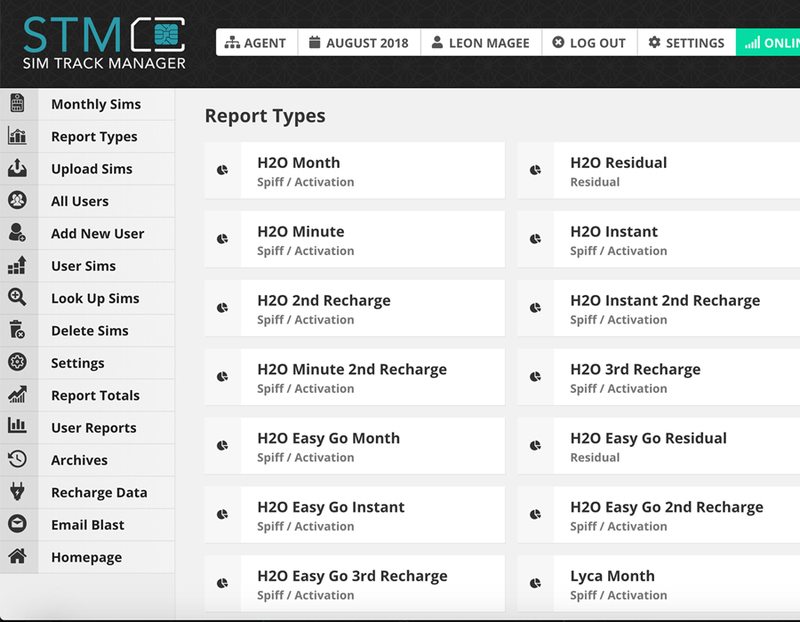 You can create agent or dealer profiles, upload SIM data (SIM, IMEI, or ESN), assign SIMs to an individual agents or dealers, customize payments (spiff or residual), and generate reports and view data. STM will compute the payments using a complex tiered structure – you can set a default spiff amount for each report type which can be overwritten by a spiff amount per report type or per spiff value of a given report type, and this can be overwritten by specific payment amounts assigned directly to agents per report type value. 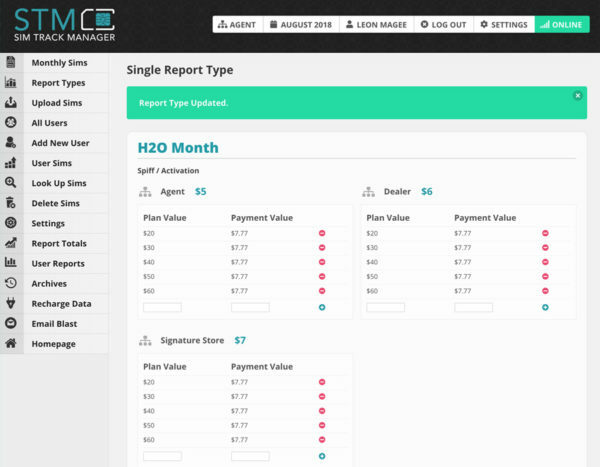 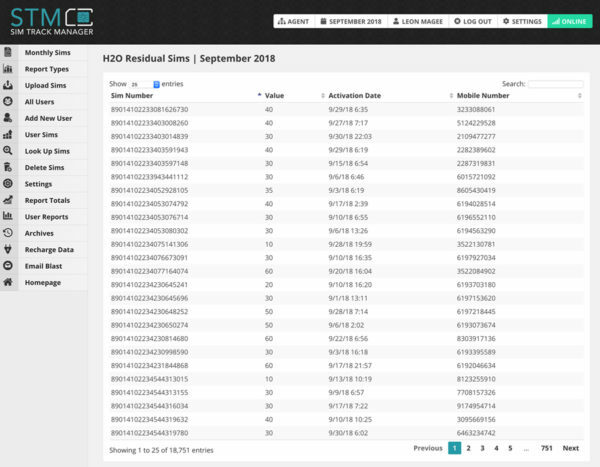 STM also provides the ability to lock down the site during the monthly upload process. 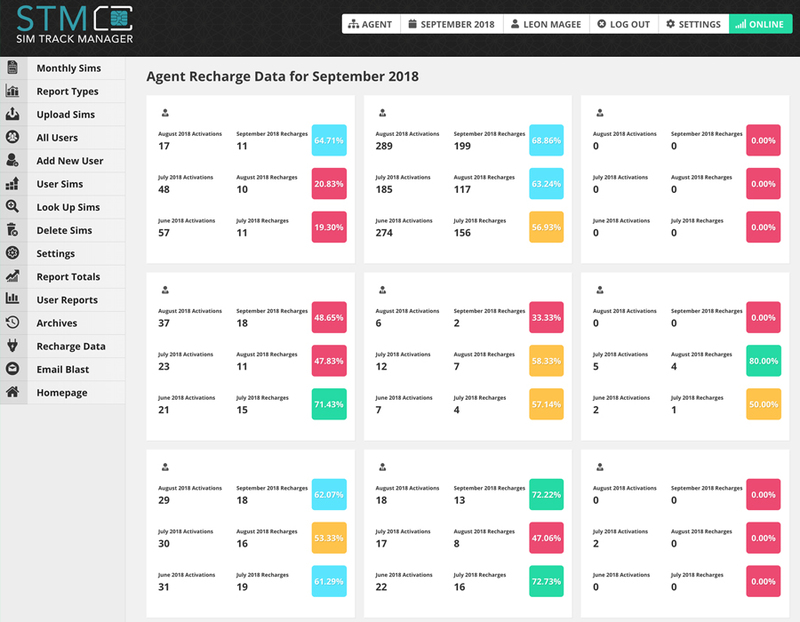 You can also archive data for users to see their reports from previous months. 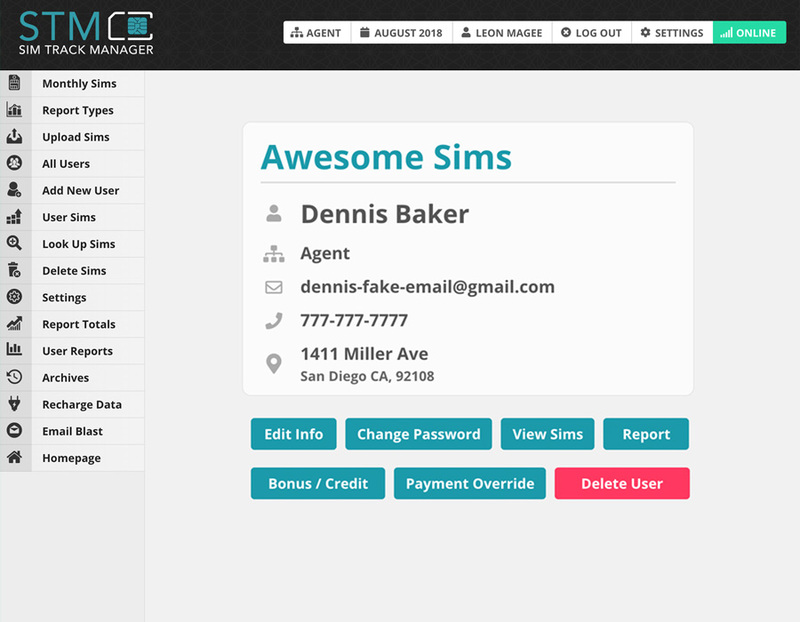 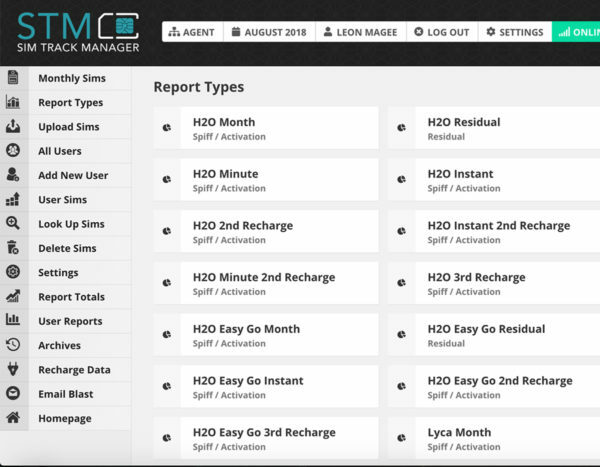 Sim Track Manager was developed custom using the PHP framework Laravel and the front-end framework Bulma.